There are lots of different ways to spend your summer time holiday. For most people, it’s a little more than a dip in the sea, lounging on the beach, soaking up the sun rays and enjoying yourself oh so thoroughly. Some may be seeking something more extreme, others something more relaxing. 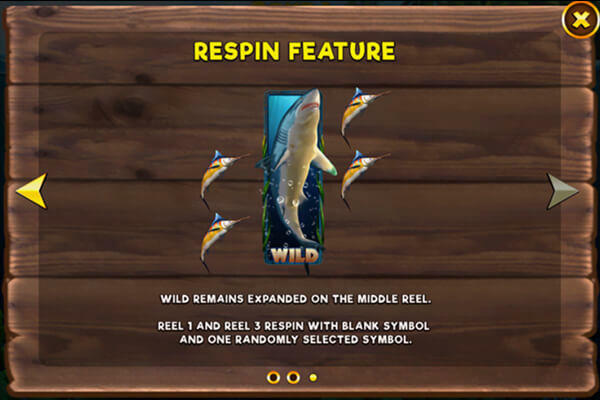 We’ll admit, scuba diving never appealed to us, but there’s just something about this new RTG slot that reeled us in. 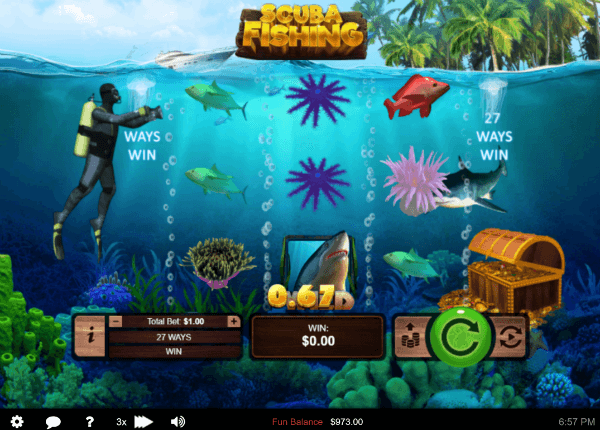 We’re not big fans of Scuba Fishing slot visuals, which feel a bit outdated given RTG’s competition. The title is played on a simple 3×3 playing field with 27 ways to win. The title has only a single special feature, and that is a full reel Wild that appears across the middle reel. We know Scuba Fishing is a medium variance title, more suitable for casual players who want to see smaller, but more frequent pays. RTG have not given us the official RTP. Simple and Fun – We won’t lie, we’re more fond of games that have a bit more meat to their bones. We like having a bigger playing field (T-Rex, Triple Twister), some more paylines, two or three special features (Pirate Isle). But given it’s small size, 27 ways to win is an amazing thing, and its sole feature, while relatively rare, is a whole lot better than no bonuses at all. If you want something simple to play and enjoy yourself, this most certainly is a game you should consider for that express purpose. Awkward graphics – If you’ve spent some time playing video slots from recent years, one look at this RTG release should make it entirely clear what we mean by this. Scuba Fishing feels more like something we’d have expected to see around 2012 to 2014. The animation on the diver is honestly atrocious, and the fish have relatively minor swimming movements which don’t look particularly bad. That said, there are some things we like – like how the diver will turn around and capture the winning paylines by transforming the fish in them into pictures. No RTP information – This is also another major flaw that we have to mention. Like volatility, RTP is something provided by the developer, as it’s a result of extensive testing of the game internally. Without it, you have no real knowledge of what to expect going into the title – variance can only tell you what sort of wins and gameplay you can expect, but how much you will potentially win back? That information lies squarely on the RTP, which we don’t know. There is only one special feature in Scuba Fishing. When three Wilds cover the middle reel, it remains expanded while the first and third reel re-spin. That’s about it, honestly. When it’s all said and done, Scuba Fishing seems like a decent game at heart. But it’s marred with a lack of visible RTP, graphics that are very clearly outdated compared to its competition, and quite frankly, lackluster special features. 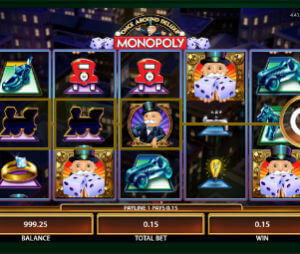 You can still get some awesome pays out of it, but we think the flaws outnumber the positives.